A burglary is committed every four minutes in Florida, according to the state department of law enforcement. Not all of those result in arrests, but the agency data indicates there are about 21,000 burglary arrests in the Sunshine State annually. Whether those arrests will result in convictions often comes down to the caliber of one’s Broward burglary defense attorney. 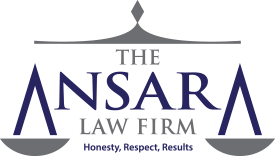 At The Law Offices of Richard Ansara, our Fort Lauderdale criminal defense lawyers are committed to ensuring our clients have the advantage of solid legal strategy and representation. Burglary can be charged in the state as either a misdemeanor or felony, but it will depend on a host of factors, including defendant’s prior criminal record. Because a conviction can reverberate to every facet of one’s life, these are not charges to take lightly. An experienced attorney will ensure that your rights are protected and the impact of arrest will be mitigated to the greatest possible degree. Intention to commit or attempt to commit a forcible felony. A building of any kind that has a roof over it. It could be temporary or permanent. A building of any kind (temporary or permanent; mobile or immobile) that has a roof over it and is designed to be occupied by people to lodge there at night. It’s important to note that defendant need not make full entry in order to be charged with burglary. That is, the defendant’s whole body doesn’t need to enter in order for the charge to apply. One need only extend part of his or her body in the vehicle with the intent to commit a crime in order to be charged with burglary. A key element of this crime is intent. But how can you know what someone is thinking? Florida courts have established – and it is clarified in Fla. Std. Jury Instr (Crim) 13.1 that a jury can infer the defendant intended to commit a crime if he or she entered or attempted to enter a structure, conveyance or dwelling sneakily or stealthily. To commit any burglary or trespass. Here again, the issue of “intent” is a challenging one. However, courts have held that jurors can infer intent based on circumstantial evidence, when weighing the totality of the circumstances. Burglary and related offenses are serious under the eyes of the law, and carries severe punishment, including lengthy prison terms, probation and stiff fines. The exact penalty will depend on the nature of the crime, as well as the background of defendant. First-Degree Felony – Burglary is a first-degree felony when the defendant commits assault or battery upon someone on the property, is armed or becomes armed with an explosive or dangerous weapon or enters the structure using a motor vehicle or causes damage to the property in excess of $1,000. First-degree felony convictions are punishable by up to life in prison. Second-Degree Felony – Burglary is a second-degree felony when there is no assault or battery and defendant isn’t armed, but the premises is any kind of dwelling or if the premises is an occupied structure or conveyance. Second-degree felony convictions are punishable by up to 15 years in prison.